You’ve heard of lawyers being called every type of pest in the book. But have you heard of an attorney that brought bed bugs into a courtroom in his clothing and closed the place down? 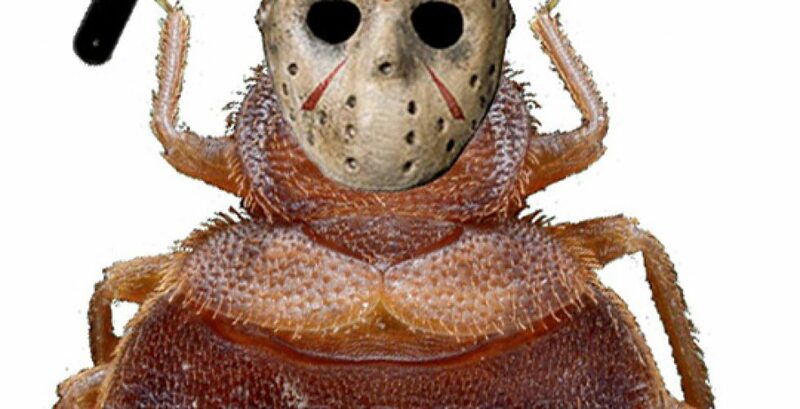 Well, an Oklahoma county courthouse was forced to close amid this strange pest problem on Monday. Rogers County Sheriff Scott Walton told television station KJRH in Tulsa that a lawyer came up to the third-floor courtroom at the Rogers County Courthouse with bugs falling out of his clothing. As it turns out, the pests were bed bugs, according to KTLA sister station KFOR. “Hard to imagine someone doesn’t know, you know that some bed bugs are crawling all over them certainly in abundance,” Walton said. Officials decided to close the courthouse in order to clean up the mess, and called exterminators. The head of security said the attorney didn’t appear to care about the situation and was non-responsive. “I was told the individual that had them also shook his jacket over the prosecutor’s files,” Walton said. And we’d love to say that now we’ve heard it all, but where humans are concerned, there will be disputes….and possibly bed bugs. When those nasty things infect your business like landlord/tenant matters, contract issues and even collections, call on the always bed-bug-free good guy litigator Dean Sperling who will work to resolve YOUR matter with YOUR best interests in mind!